When the colder months arrive, it seems commonsense nowadays to spend free time curled up in a warm blanket and binge-watch Netflix. Having a Parks and Recreation or Breaking Bad marathon isn’t a bad option all, but it isn’t the only option to pass time away this winter. So before you disappear in front of your TV until spring, here’s a list of 50 other things to do indoors besides vegging out on Netflix. 1. Plan a game night. Invite friends over, grab a few snacks, and pull out some board games for a fun night in. 2. Try a new recipe. Even if you aren’t the most kitchen savvy, find a new recipe on Pinterest and try it out for a fun challenge. 3. Take up knitting or crocheting. YouTube “how to knit,” buy some inexpensive yarn, and get started learning a cool new skill. 4. Play cards. Grab a buddy or two and play a few rounds of your favorite card games. 5. Read a book. Stop by the book store or your local library and pick up a popular new title or an old classic. 6. Do a store scavenger hunt. 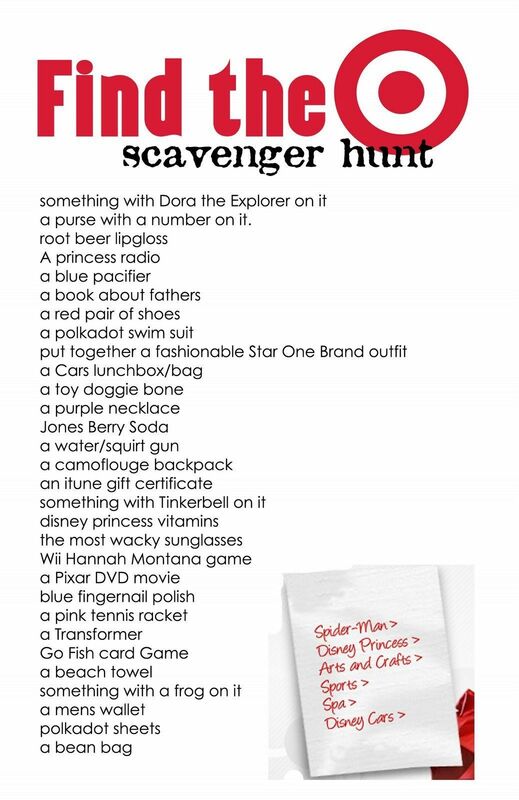 Download a scavenger hunt list like this one and head to your favorite store with a friend for some free entertainment. 7. Learn simple phrases in another language. Search YouTube for videos that teach you how to say common phrases in other parts of the world and impress your friends. 8. Take a class. Art, yoga, dance, kick-boxing, crafting—you name it! Check your local paper, ask around, or search online for classes offered in your area. 9. Go to an arcade. Feel like a kid again and spend an evening playing games and saving up tickets for a prize. 10. Do a puzzle. You can find cheap jigsaw puzzles at Goodwill, or if jigsaw puzzles aren’t your thing, search online for Sudoku puzzles, word searches, or mazes to print off. 11. Color. There are tons of adult coloring books out there, but you can also find and print off coloring pages online, or grab a kids’ coloring book at a dollar store. 12. Get a gym membership. Rather than let winter inactivity take over, refresh your body and mind with a good workout. 13. Study another culture. Have you always been interested in a particular country? Find out all you can about the way of life there by utilizing the internet or your local library. 14. Start following a new blog. The internet is home to hundreds of thousands of blogs. Search Pinterest for an interest of yours followed by the keyword “blogs,” and you might find a great new site to follow. 15. Sponsor a child in another country and write to them. Kids love receiving letters and learning more about their sponsors. You may even receive a letter back! 16. Write to a celebrity. Send a letter with a self-addressed stamped envelope to your favorite celebrity using a fan mail site, and you could get back an autograph. 17. Listen to an audiobook. Some audiobook companies, like Audible, offer free trials or a free audiobook to new listeners for signing up. 18. Earn extra cash. The Penny Hoarder has tons of ideas for ways to earn extra dough from home. Why not give one a try? 19. Offer to babysit. If you like kids and know a parent with a little one, make their day by offering to watch their kiddo for an evening. 20. Try a sip-and-paint. Search online for businesses in your area offering art classes that let you hold a paint brush in one hand and a wine glass in the other. 21. Visit a popular new local venue. Instead of waiting for the reviews to roll in, be one of the first to check out that new restaurant, gallery, or store in town. 22. Write a letter to your future self. Spend some time reflecting and write an encouraging note to yourself to open up again later down the road. 23. Catch up with an old friend. Pick someone you haven’t talked to in a while and write them an email, send them a Facebook message, or give them a call. 24. Go wine or beer tasting. Do a quick internet search and you’ll probably find places in your area to sample some tasty new brews. 25. Visit a neighboring town. Look up a nearby town and make a list of restaurants, museums, and other attractions to visit while there. Then pick a date and plan a daytrip! 26. Start a scrapbook. Order some prints from a local drugstore, pick up an inexpensive photo album and some stickers, and start a simple scrapbook. Preserving memories doesn’t have to be elaborate! 27. Redecorate a room. Rearrange furniture, repaint walls, or purchase new room decor. You can find tons of ideas ranging from easy decorating to complete renovation on Pinterest. 28. Visit an elderly family member. Whether they live at home or in a care facility, chances are an elderly relative will greatly appreciate your company. 29. Stay the night at a hotel. Make an evening or weekend more fun by staying at a nearby hotel. Roam the halls, jump on the beds, and relax in the pool or hot tub if they have one. 30. Take up an instrument. Find an inexpensive guitar or keyboard and look up video lessons online. No matter your musical ability, playing an instrument can be really stress-relieving. 31. Bake cookies for someone. It’s likely you know someone who’d appreciate some freshly-baked treats. Pick up premade cookie dough at the grocery store and get baking! 32. Look through old photo albums. Take a trip to your parents’ or grandparents’ and break out the childhood photos and spend time reminiscing together. 33. Walk around the mall. Malls are a great place for people watching, window shopping, and discovering cool new places to shop. 34. See a movie in theaters. It might be more comfy to watch a movie at home, but do something different and get out to enjoy a movie on the big screen. Don’t forget the popcorn! 35. Play a new video game. If you’re a gamer, you probably have a select few favorites you stick to. Change it up a bit and pick up a used game or rent one to try out. 36. Make a family tree. Whether on paper or on a computer, map out your family history in visual form. You can even make a home decoration out of it! 37. Volunteer. Hospitals, animal rescues, soup kitchens, homeless shelters, churches, hospices, and many other organizations are always looking for volunteers. Donate a few hours of your time and make a difference. Enter your zip code and find opportunities near you here. 38. Organize part of your home. It could be a room, a closet, a drawer, or the garage. Pick a room that could use some TLC and look online for organizing ideas. 39. Throw a party. Even if it’s no one’s birthday and the holidays are over, parties are always a fun way to reconnect with the people who matter most. 40. Donate old items. Make time to drop off that stack of old clothes or household items collecting dust to a Goodwill donation center. You’ll feel great afterward for checking a box off your to-do list! 41. Listen to new music. YouTube and apps like Pandora are great places to discover new songs and genres of music you may really like. 42. Follow a podcast. There are podcasts about everything these days. Search online for podcasts on a given topic, or see if blogs you follow host podcasts as well. 43. Test out a new hairstyle. This goes for guys, too! Check out YouTube for hair style tutorials, hair styling ideas, and hair product recommendations. 44. Start a journal. Pick up a cheap notebook and keep a journal. Handwriting your thoughts on paper can help you slow down and process your thoughts better. 45. Set up a blog. Start a blog for free on sites like Blogger or WordPress. You can blog about anything—food & recipes, parenting, hobbies, travel, and more. 46. Try a Bible reading plan. New to reading the Bible? Download the free YouVersion app for lots of free reading lans to guide you, or check out this blog post by Jordan Lee. 47. Make a prayer jar. Grab a jar or other container, write down worries and other prayer requests on slips of paper, and drop them in the jar. Later, go back and read what’s in the jar and see how God has worked in the situation. 48. Try a new workout routine. POPSUGAR Fitness offers tons of free, fun workout videos online that are able to be done right at home. Grab a partner for extra fun! 49. Write down what you love. Take time make a list of all the things that make you happy, whether that’s trips to the lake or eating chocolate. Put your list in noticeable place and read through it on days when you’re feeling down. 50. Make a list of personal goals. Think about what you’d like to accomplish in the next week, month, year, or few years. Write your goals down, along with practical action steps you can begin taking today to make them happen. So there you have it, 50 things you can do indoors during the colder months besides bask in the glow of Netflix on your TV. Tried one of these ideas or have extra ideas of your own? Share in the comments section below!